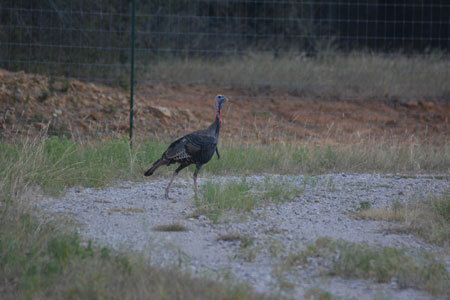 Daily rates on all turkey hunts offered are $250 per hunter (1 bird) + $250 harvest fee, $150 per non-hunting guest. Rates include: one full day of hunting, guide and lunch. Lodging is an extra charge. Please refer to the lodging page for rates. A $750 booking fee is required. The booking fee will be applied to the hunt. No refunds for cancellations after March 1st. Call for information. Included in the hunt: semi guided, transportation on the ranch.